For this month, I thought we could play with our stencils. How many of you have a drawer filled with stencils that you don’t use? Maybe a box of them? You bought them back in the light-table days. Or recently from a Convention? 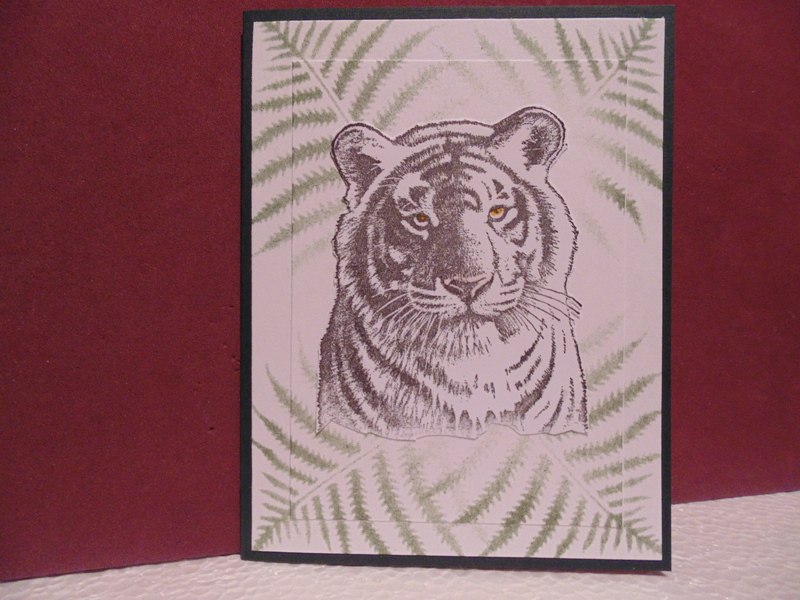 We seem to mostly use them these days as embossed images on our cards, don’t we? Well this challenge is to think outside the box. 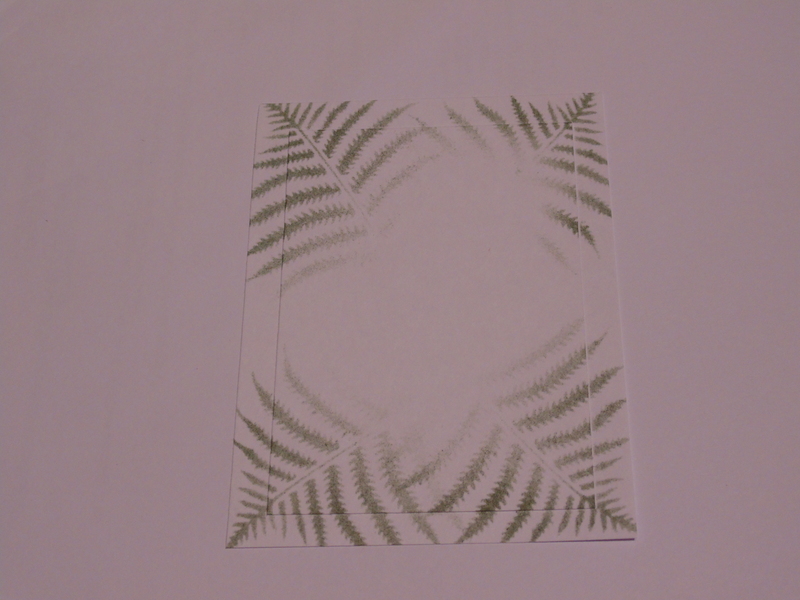 Not too long ago I received an e-mail from Nancie Waterman from Vamp Stamp News talking about making borders with stencils. I found that intriguing and thought that might make an interesting Technique Challenge so here we are. Nancy has a very good explanation of how to use a background stencil for making a border on your card. Why would you want to do that, you might say? For one thing, it will save on an extra layer on your card. So to get links for this Technique Challenge, I hopped over to YouTube.com to find videos for you. Do you think I could find any? Nope! Not a one. I typed Stencil Border on cards, I typed Stencil Frame on cards. Nada. I even went over to Pinterest.com to try to find examples to use besides Nancie’s example. Again nothing. 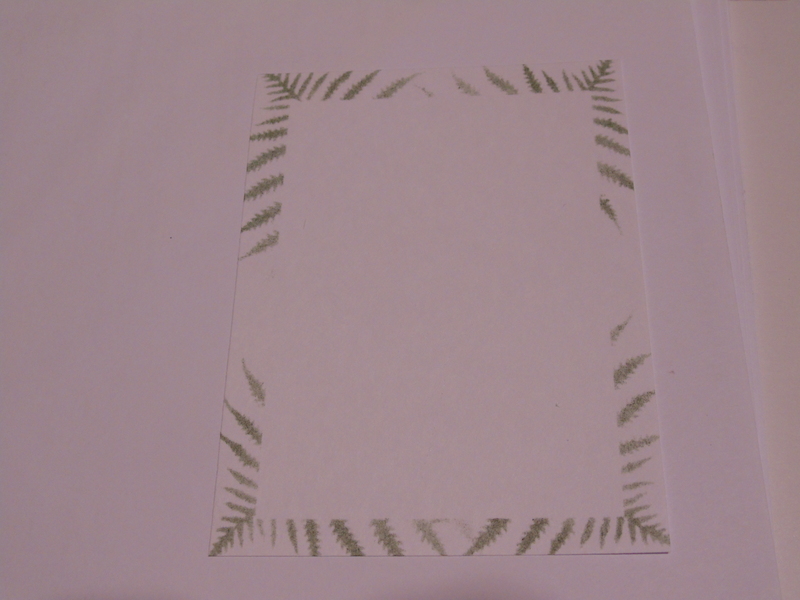 So first off, here’s Nancie’s link to see what she used to make a frame on her card. This was just an example of a frame. 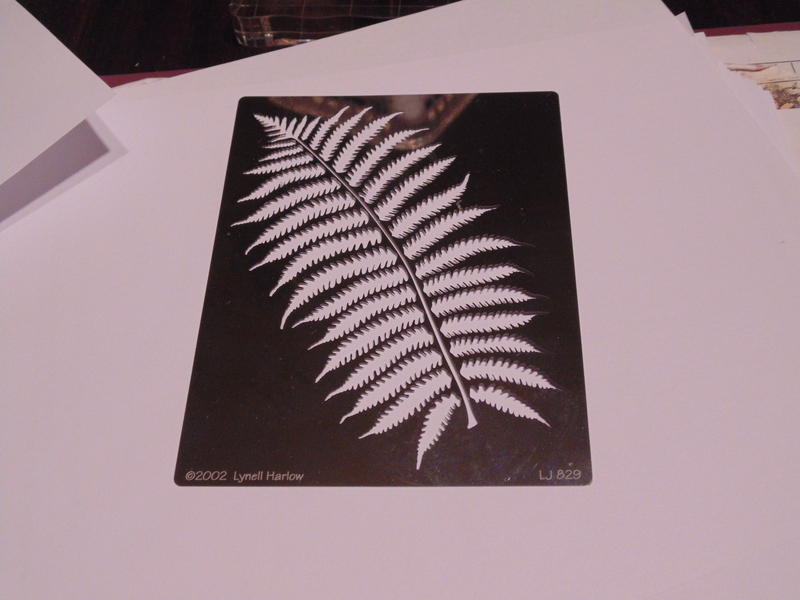 I think with the next one I do, I’ll make the frame wider so more of the fern shows as it does in the example #2. Then you can add a layer on top or just place an image in the center of your frame. You can draw the inside edge of the frame with a black pen to make the frame itself stand out more as well. And if you think about it, the leaves are framing the lion. Didn’t that turn out cool? Your frame can be any size, from small to large like this one. Stencils are fun!! So have fun with this month’s Technique Challenge.